I visited the schools for the first time since the project has been running! Which reminds me of one other part of the tablet story—rugged cases and the cart. Here’s a link to them on Amazon. They cost about $22 ea. Definitely worth the money to protect a $150 tablet. The other part of the story is the tablet cart. 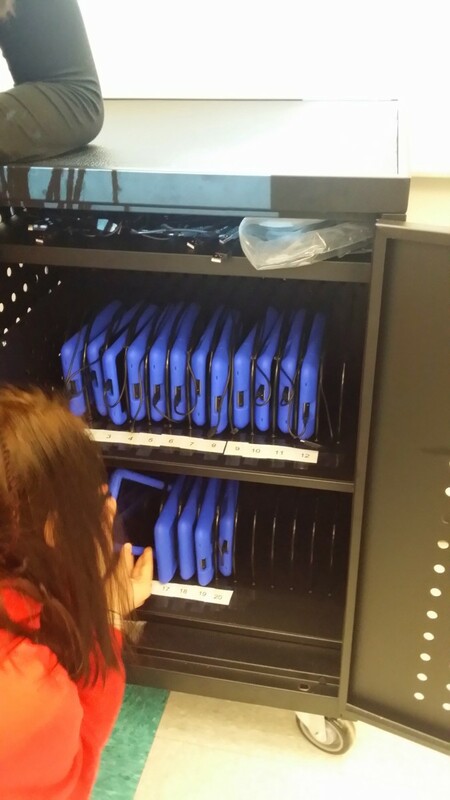 It organizes all 20 of the classroom tablets. We numbered each tablet and each slot, so kids know where to put their tablets back. When Debbie’s class was over, she called them up by groups—1 through 5, 6 through 10, etc. so kids wouldn’t get too much in each others’ way putting the tablets back. The cart cost about $1000. It has all the chargers installed with individual USB cables tied in place for each slot. It’s on wheels, it’s solid, and it locks. Totally necessary. 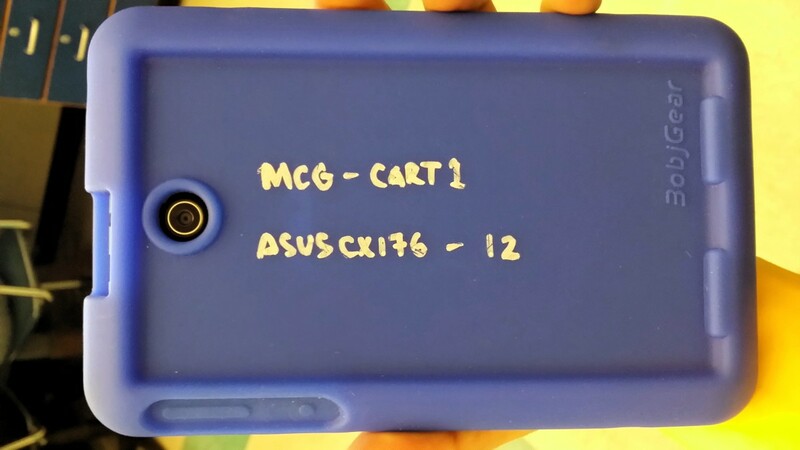 ← ASUS MeMO Pad 7s!